LCD screen on printer has gone blank and cannot print anything? My Canon Pixma MP520 prints blank pages only; copying is the same (blank pages). How can I get the Canon MP520 to recognize a red cartridge, in place of the magenta that was empty? Can I do it by selecting a different color profile? Hello, my printer woks bur there is nothing on my paper. It`s totally blank. What can be the problem? Print head is not installed. Solution 1: The red circle with red triangle. All problems on this page have been submitted and answered by users. If you have a problem with the Canon PIXMA MP520, please submit it below and we'll post it here. 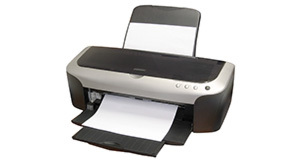 Problem: LCD screen on printer has gone blank and cannot print anything? Problem: My Canon Pixma MP520 prints blank pages only; copying is the same (blank pages). Problem: How can I get the Canon MP520 to recognize a red cartridge, in place of the magenta that was empty? Can I do it by selecting a different color profile? Problem: Hello, my printer woks bur there is nothing on my paper. It`s totally blank. What can be the problem?